InterDC is a full redundant Tier 3 datacenter based in Enschede, East-Netherlands, and is operational since july 2011. Our focus is on providing datacenter services for regional companies or even as an excellent fallback solution to the broader market. 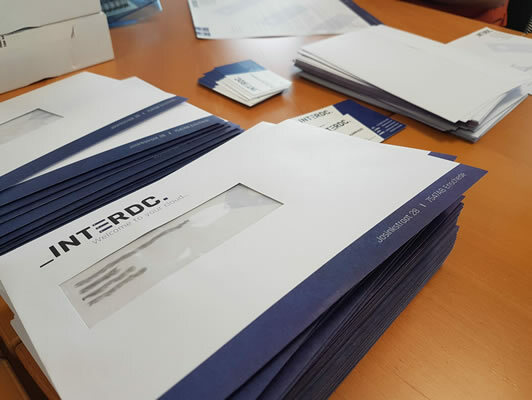 Thereby at InterDC we pride ourselves in having both an ISO 27001 and a NEN7510 certificate. Like he has grown used to, Sinterklaas (the famous Dutch cousin of Santa Claus) was able to buy us all presents online. From his secure ISO certified steam-cloud at InterDC Sinterklaas knows his presents won’t fall into the wrong hands. We wish everyone a joyful Sinterklaas! 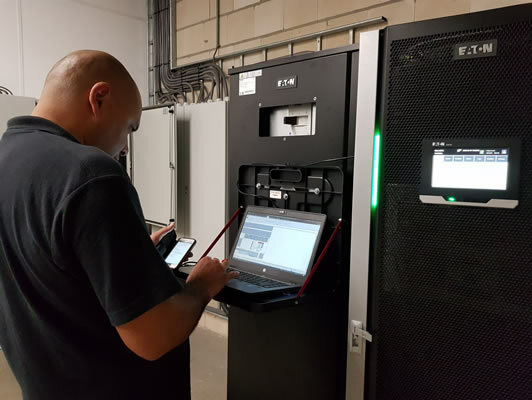 The Eaton UPS has had maintenance today. 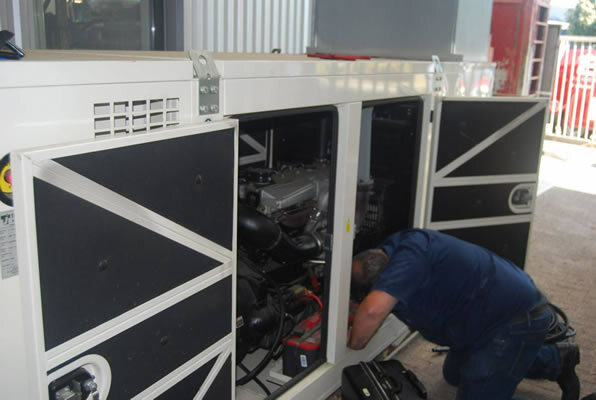 It went smoothly and without any risks to our services because the emergency generator was running along side it. The emergency generator has been checked out on account of a power outage we’ve experienced. It turned out the coolant was leaking. This has been fixed and we’ve made arrangements to take preventive steps at the next maintenance appointment to make sure these issues will be avoided in the future. Our new website is finished. We thought it was time for a more grown-up look and we’re very proud of the result. We have also updated our customer design. We’ve send out letters to our customers showing them the new look. We’re excited to hear your thoughts about it. Want to know more? Feel free to contact us or come by our office between 9 and 5. We have an fiber connection to Düsseldorf Germany with Centurylink. 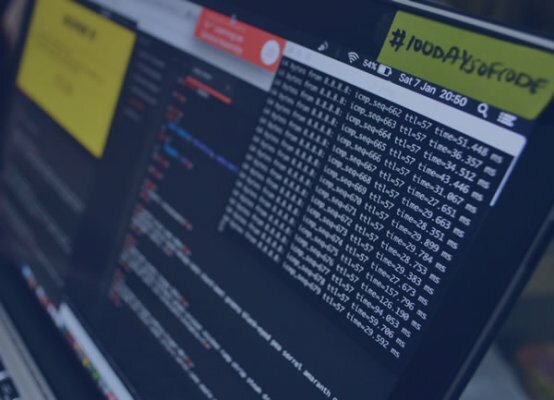 This connection is important, because should something happen with the internet connections in the Netherlands then we can use this connection to keep connected to the internet. With our colocation service it is possible to rent a single server rackspace. Included in the service is a stable power supply, cooling and internet connectivity. InterDC provides rackspace in the following sizes: quarter rack (1/4), half rack (1/2), full rack (1/1) or even multiple racks. With the quarter and half rack solutions there is the option to choose between shared or secured rack compartments. Shared rack compartment share the same lock with multiple of our clients, while secured rack compartment limits the access to the compartment to a single client. Is your organisation in need of multiple racks? And does your organisation wish to control the access to those racks? Then the private cage solution is most ideal as it provides a private access door to the cage. With this solution you are ensured that only your employees or costumers have access to the racks. A private cage is only possible with a minimum of 8 full size racks. Does your organization require more privacy? Then the private suite is the perfect solution. A private suite is a custum build datafloor with its own walls and doors. The advantage compared to a private cage is that other people cannot see the equipment in a private suite. A private suite is only possible with a minimum of 20 full size racks. 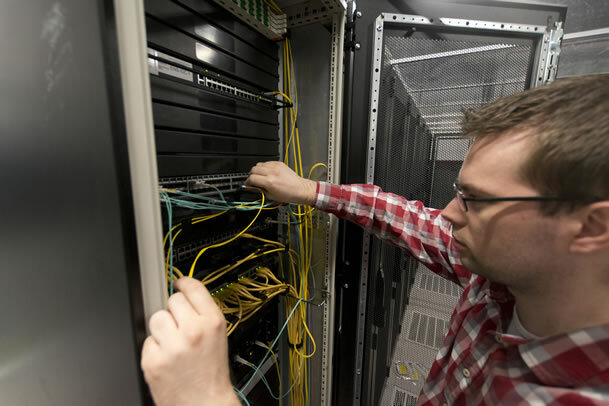 As datacenter we are capable of providing different types of connectivity solutions with speeds ranging from 100Mbit until 10Gbit or even wavelengths within our fiber network. Thereby we can also provide internet services to your office via our partners NDIX or Bright access. Need your server rebooted? A tape switched or do you have a problem with your operating system? Our experienced engineers (Windows and Linux) are able to provide fast remote hands, since our office is next to our datacenter. The datafloor is protected via the VESDA (Very Early Smoke Detection Apparatus) laser detectors. VESDA is capable to detect a fire in the very early stages.